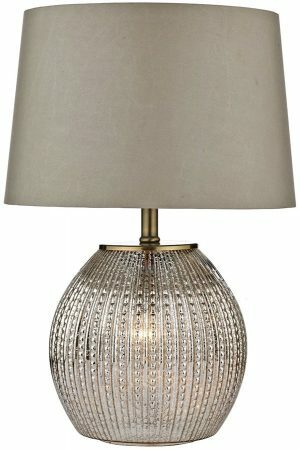 An elegant contemporary table lamp, with an antique silver glass beaded base, complete with soft gold top cap and lamp holder. 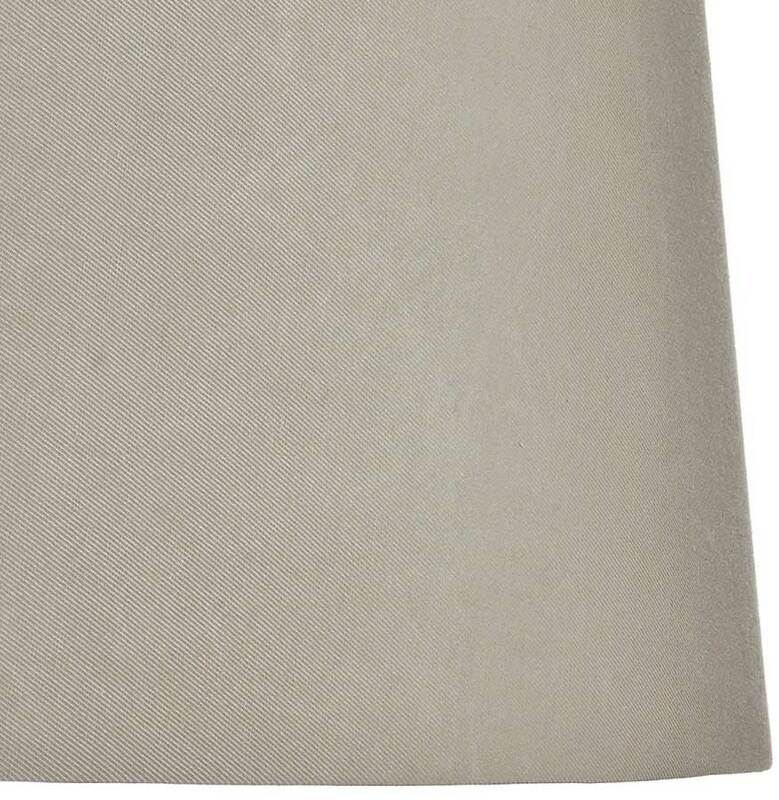 Supplied with a taupe faux satin tapered drum shade. 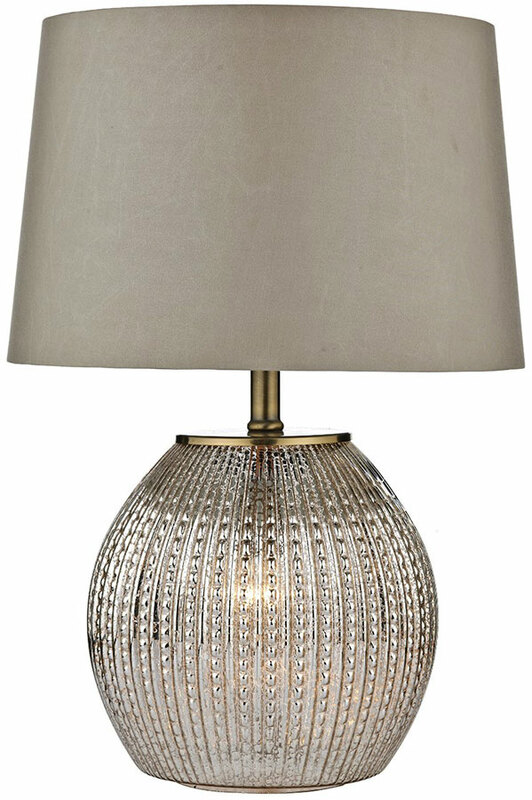 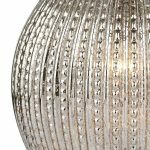 This stylish light fitting has a conventional top lamp holder that sits snugly under the shade and a secondary lamp that fits inside the base to make the glass sparkle and shine. 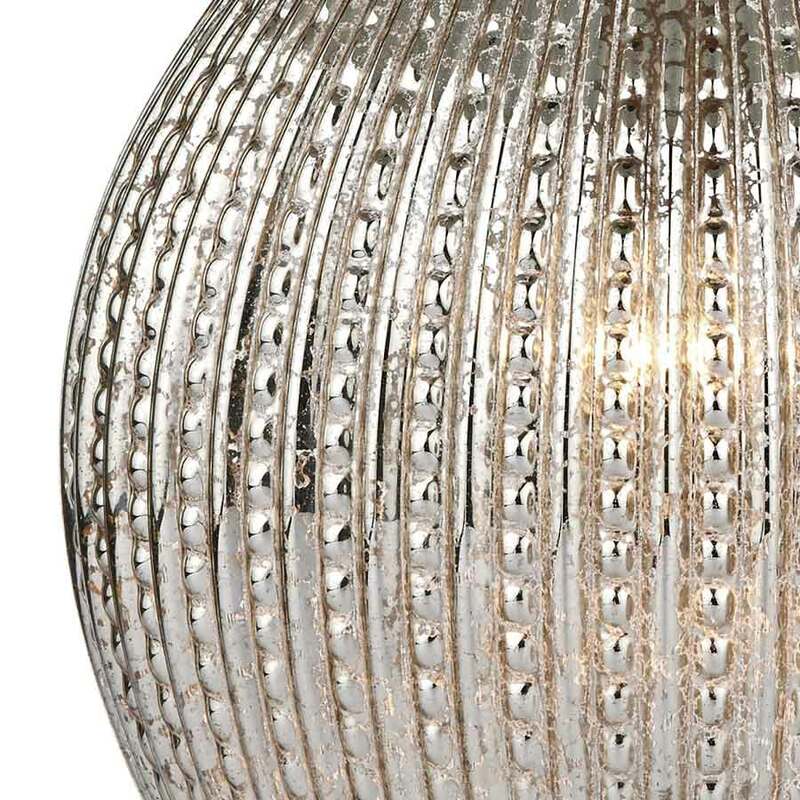 A simply divine choice for the modern living room or hallway, easily operated by means of an in-line on / off rocker switch.